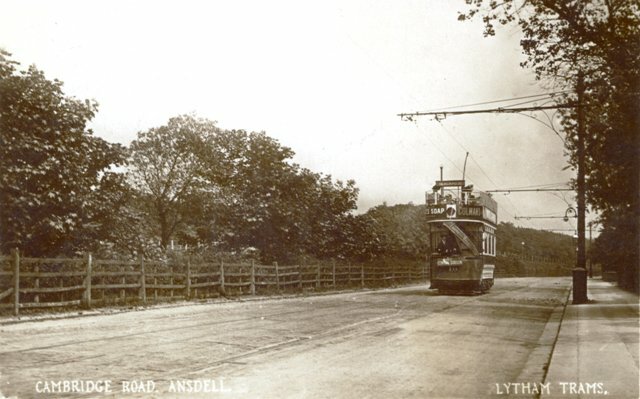 Lytham & St.Annes on the Sea Lancashire - Local History - Cambridge Road, Ansdell c1910. YOU ARE HERE > HOME PAGE > TRANSPORT HISTORY > Tramways > Tramway Photographs > Cambridge Road, Ansdell c1910. 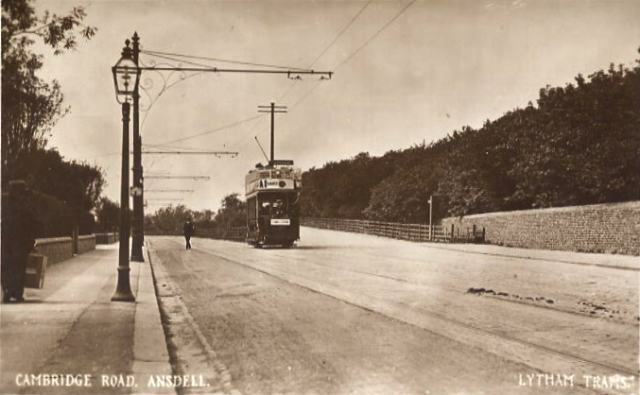 Photograph of an electric tram on Cambridge Road, Ansdell c1910.